As we enter the last quarter of 2017, business and IT executives are turning more of their attention to how they can use technology to accomplish their 2018 business objectives. We’ve compiled a list of five trends in cloud computing that strategic businesses will prepare for in the coming year. Software as a Service (SaaS) opened a flexible and financially attractive door for businesses and consumers to try early cloud services. The growth of infrastructure and platform as a service (Iaas and PaaS, respectively) has expanded the number of cloud solutions available in the public and private sectors. In 2018, we expect to see many more organizations take advantage of the simplicity and high-performance the cloud guarantees. According to a forward-looking 2016 survey on cloud services from Cisco, these solutions will continue to be deployed and used worldwide to accomplish diverse goals on an unprecedented level. 2018 will see SaaS solutions take the cake as the most highly deployed cloud service across the globe. The Cisco survey also forecasts that SaaS will account for 60% of all cloud-based workloads—a 12% increase over 2017 predictions. PaaS solutions will experience a modest five percent growth rate, while IaaS solutions are also set to increase. Given that these projections were made in 2016 and given positive performance in 2017, we can reasonably expect even greater growth in cloud services solutions than these predictions. Businesses that want to simplify operations and make it easier for their customers to access services will move more aggressively toward integrating SaaS, IaaS, and/or PaaS into their business processes. As cloud services increasingly become a de facto part of doing business, we expect data storage to grow exponentially in the coming year. To accomplish this, service providers will bring more data centers online with larger-capacity storage equipment. The Cisco survey estimates that in 2017, the total amount of data stored in data centers would be 370 EB, while global storage capacity would reach 600 EB (see page 12 of the survey). These numbers are set to grow in 2018 to an estimated total storage capacity of 1.1 ZB, which is approximately twice the space available in 2017. 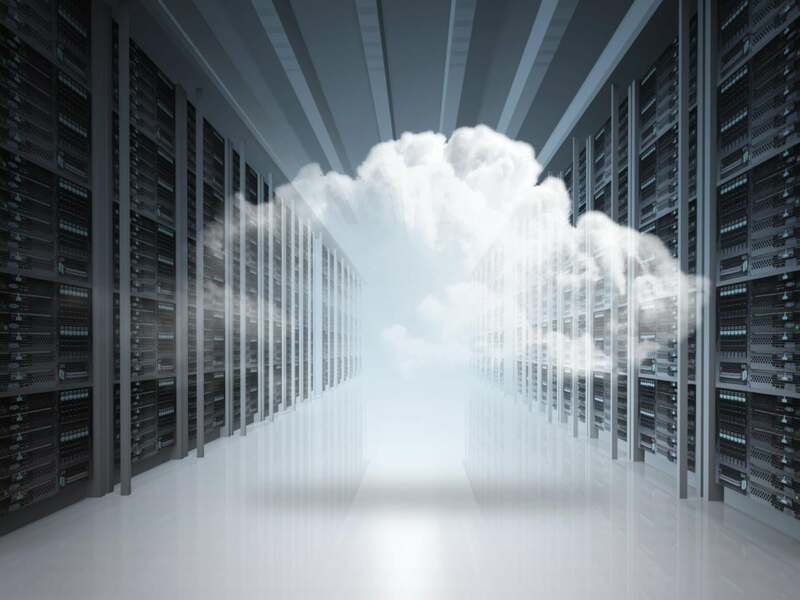 While data centers owners move to increase available storage, forward-thinking businesses will be able to take advantage of that space to further their objectives. For example, businesses that work with big data will use this increased space to store large data sets, perform analytics on them, and harvest valuable insights into areas such as customer behavior, human systems, and strategic financial investments. For small businesses, increased storage capacity means that 2018 will provide custom or bespoke storage options at far lower prices than were available in 2017. In 2017, the internet of things (IoT) and artificial intelligence played a stellar role in the tech community, with respected innovators like Elon Musk and Stephen Hawking commenting on their near-term potential. While industry experts anticipate IoT will see its own growth, continuous innovations in real-time data analytics and cloud computing are set to push the internet of everything (IoE) to the fore in 2018. IoE relies on machine to machine communications, data, processes, and how humans communicate with everything in their environment. Cloud computing will play a significant role as the IoE develops into complex systems aimed at simplifying all interactions. For humans, this means we will be able to interact intelligently with every device in a network—just like IoT. Even more intriguing, humans will be able to interact more easily in human-to-human communications. For example, Google’s Pixel Buds (which are expected to be released in late 2017) are a headset equipped with the ability to recognize and translate 40 languages in real-time for its user. IoE will also provide businesses with more insight into how consumers relate to their products or services, customer care units, and one another. This data can then be used in multiple ways, including simplifying customer experience through automation and the use of smart robots. Japanese hospitality robots, which are imbued with the ability to welcome guests, converse in real-time, and provide certain services, give a sneak peek into what IoE could accomplish in the near future. Just as the amount of data generated and stored around the world is poised to grow tremendously in 2018, consumers will also expect better and faster connections from network providers. Qualcomm Snapdragon has been spearheading the move to faster network speeds, and 2018 should see an increase in the number of groups working on these improvements. As this work gains momentum, we anticipate strong movement from gigabyte LTE speeds to full 5G networks, helping us reach 5G capabilities in record time. Enhanced network quality will increase consumer expectations for highly-responsive, fast-loading services and apps. Savvy business owners will move quickly to reevaluate and upgrade their SaaS, PaaS, and website platforms to be more responsive. The IoT and IoE industries will also benefit from faster network speeds by allowing organizations in this space to receive and deliver data more efficiently in real time. Although 2017 hasn’t come to an end, it has already made a name for itself as the year of more cyber attacks than any other in history. Attacks such as the WannaCry ransomware, the CIA Vault 7 hack, and the Equifax data breach are reminders that cyber attacks are a reality of the 21st century. We expect 2018 will see more individual and state-sponsored attacks aimed at undermining the security of cloud infrastructures. As cyber attackers become more sophisticated, security analysts in government, public, and private sectors will also have to become more sophisticated and timely in their methods for detecting and preventing attacks. Businesses will recognize the necessity of investing in tools like security information and event management (SIEM) and malware detection systems as fundamental defense mechanisms for cyber security. Cloud services can play a role here as well, with managed security service providers offering robust services to businesses that could not otherwise implement full security measures. What trends do you see in cloud computing for 2018? How are you intend to take advantage of cloud computing services in the coming year? Let us know below.